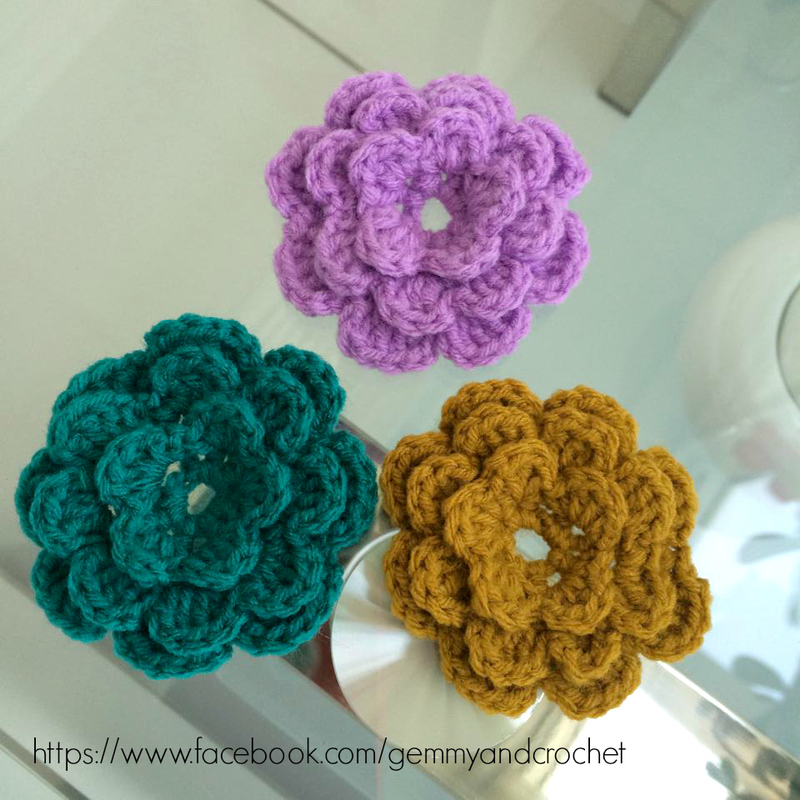 I know, I've been crocheting flowers a lot. I can't help it. They are so cute and pretty. I can't stop myself. It gives me happiness. You can see this pattern all over the net and YouTube. Just made a picture pattern to help beginners like me. I know it's a big help. This project is so easy and not a time consuming. More colors, the more you'll fall in love. You can use it as a accent to your bigger projects or plain as it is. O well, they are really lovely. So so so looovely! 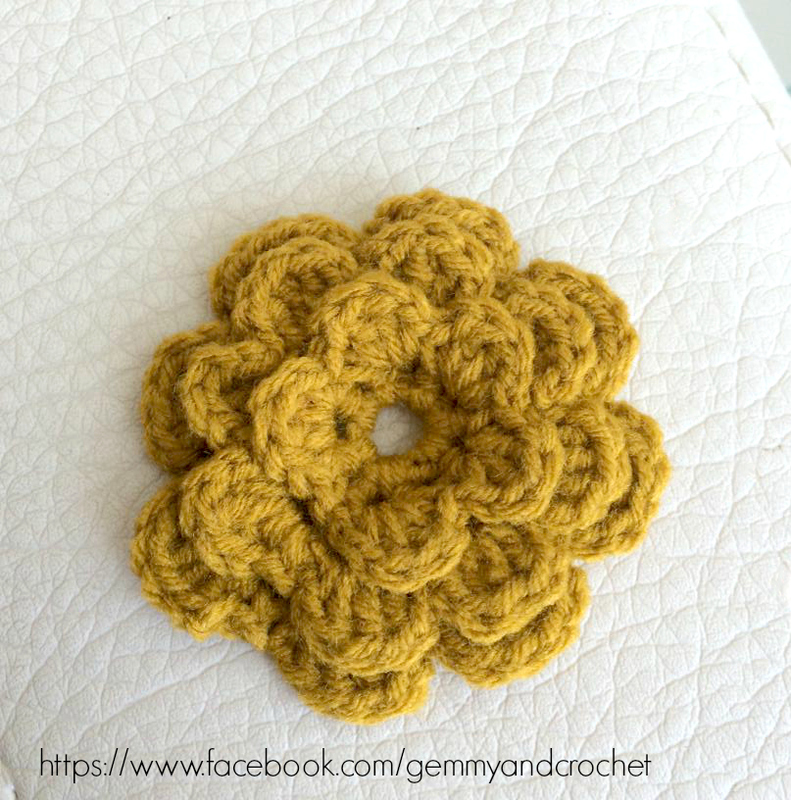 To start the first row of petals, we need to crochet five petals. So we have 8 loops, all we need to do is skip some loops to have Five petals. 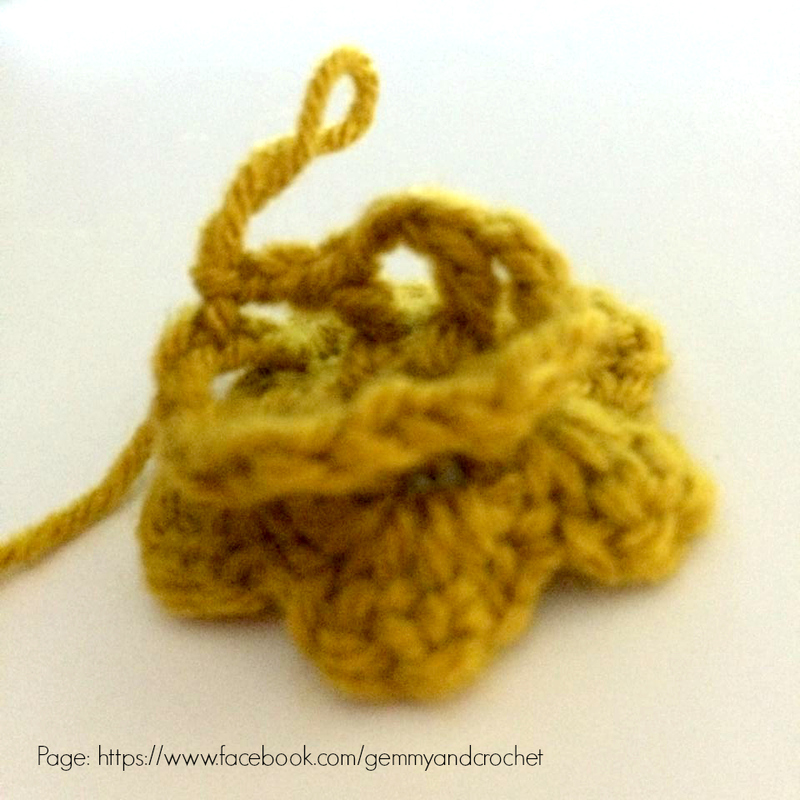 *Into the loop, single crochet, chain one, 2 double crochet, chain one and single crochet. Repeat * until you have petals. For the second row of petals: Chain one. 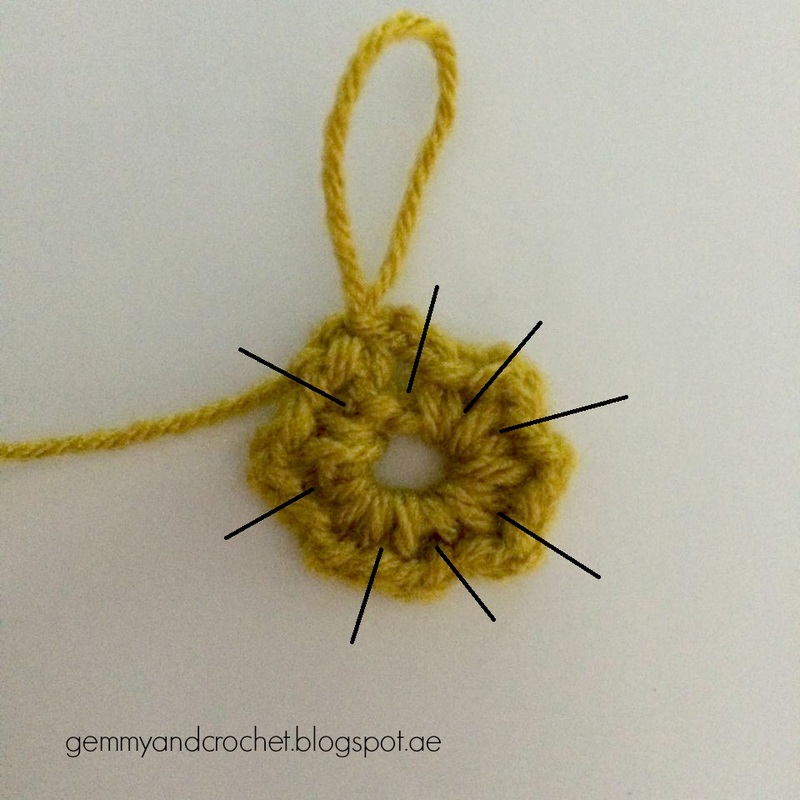 Turn your work back side, slip stitch into the single crochets of the first row of petals (Markings as you can see in the photo). Chain 5 stitches. 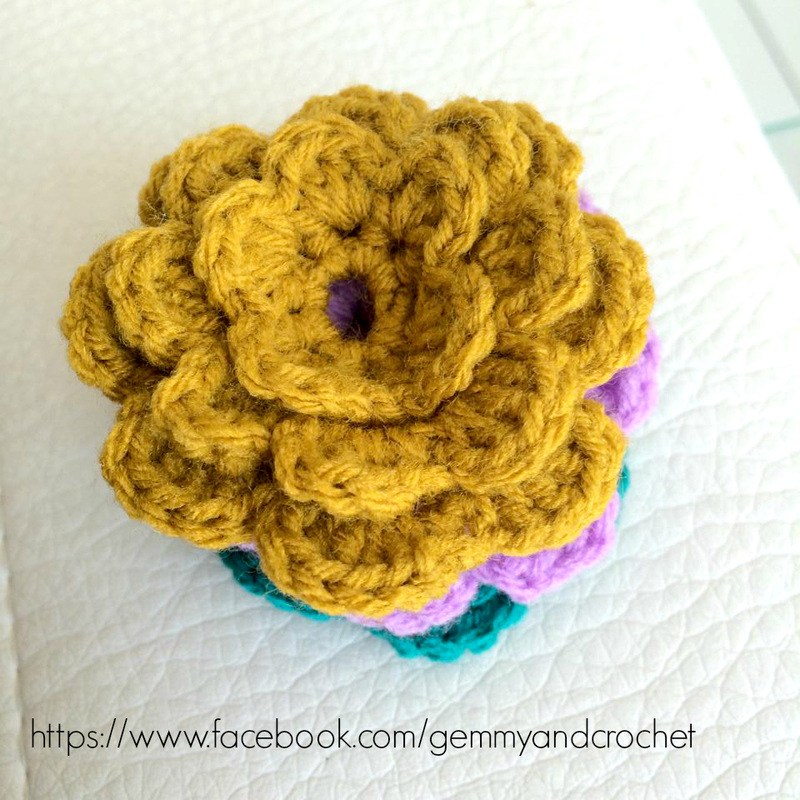 *Double crochet in the next single crochet(flower stalk) and chain 2. Repeat * until you have 8 loops. For the last loop, slip stitch in the third chain stitch of the first loop. Next step: Chain one. And turn your work front side. 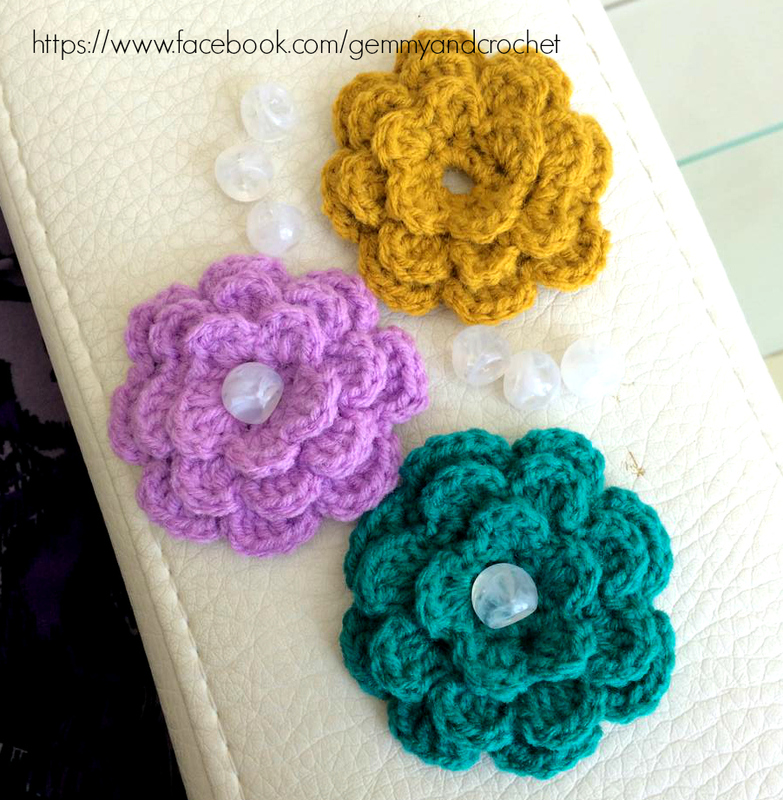 *In each loops, single crochet, chain one, 3 double crochet, chain one and single crochet. Repeat * to complete the 2nd row. Total of 8 petals. To end this row, slip stitch into the first single stitch. For the last petals: Chain one and turn it back side. Slip stitch in every single crochet in the previous row. First loop: slip stitch and chain six. The rest of the loops: double crochet and chain 3. The last loop should slip stitch in the third stitch of the first loop. Total of 8 loops. Chain one and turn it to front side. *In every loops, single crochet, chain one, four double crochets, chain one and single crochet. Repeat * to complete the petals. To end the this row, slip stitch into the very first single crochet. Total of 8 petals.